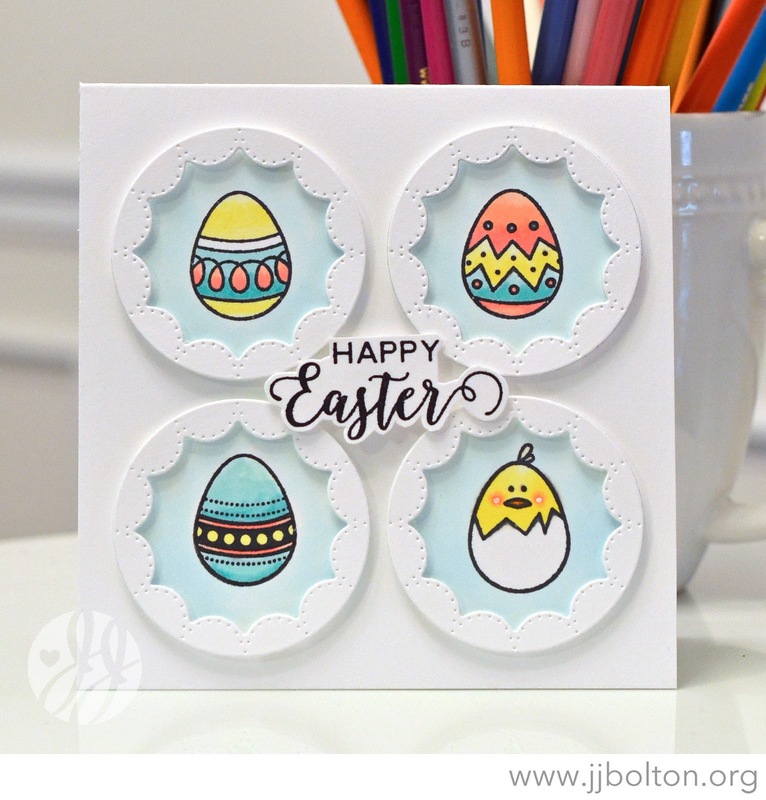 It's Spring Break for us here and I'm getting ready for Easter with some more of my Waffleflower goodies! These two cards actually use the same stamp and die sets from the new Waffleflower release. 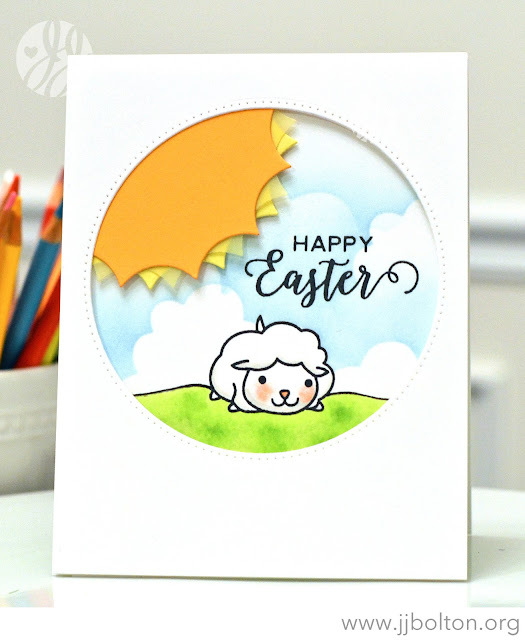 As soon as I saw the Flower Circles Inverted Die, I had to put in an order;) For this card, I used the smaller of the 2 circle dies. These dies are just adorable! For my next card, I used the circle dies again, but this time I used the negative cuts. First I die cut the large circle to create the frame. 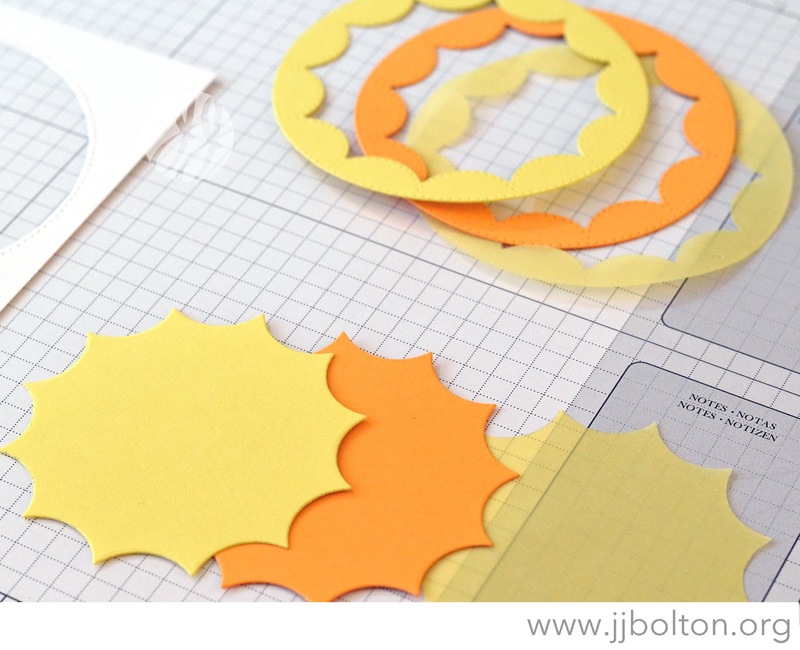 Then I used the inside of the smaller circle dies to create a multi-layer sun with card stock and vellum. I used the sun to create a little scene inside the frame. The fluffy little lamb is from the Welcome Spring set. LOVE your four circle design! 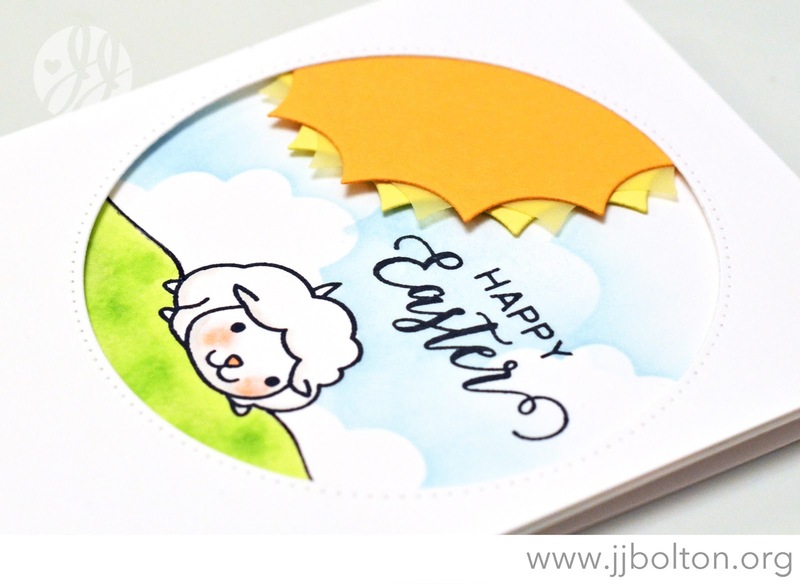 Happy Easter, JJ! I love how you created the sun on that second card, so clever! 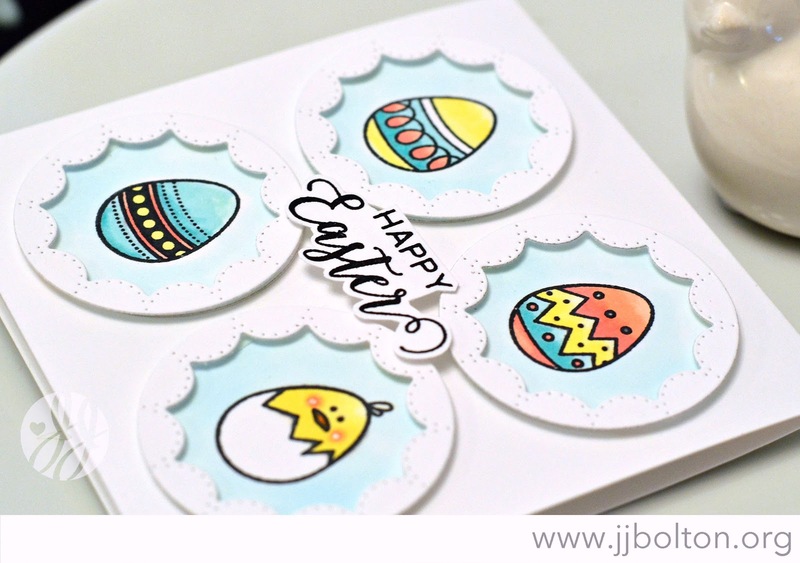 Such darling cards, JJ! I love your design on the first one, and how you played with the negative die cuts on your 2nd card to create the sun! You always have such clever ideas...Thanks for sharing them with us!